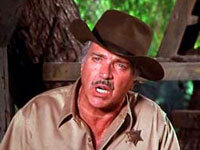 Sheriff Ep Bridges was a regular fixture on the show, appearing in 41 episodes and all 9 seasons of the show. 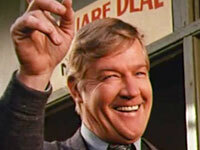 John Crawford (1920-2010) has more than 200 credits in film and TV. Sara Griffith Bridges is the Sheriff's wife. 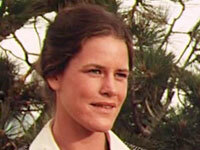 Lynn Carlin first appeared on the show as John Walton's school friend Eula Mae in "The Prophecy" (s4-ep4). She then appeared in 2 episodes as Sara Griffith followed by 2 more episodes as Sheriff Ep Bridges wife. Rosemary Hunter is the local school teacher who runs a single room school house on Walton's Mountain. She mentors John-Boy to develop his writing skills and encourages him to submit his work to publishers. 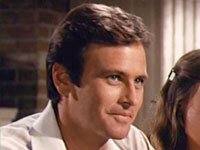 John-Boy develops an affection for her and becomes jealous of Rev. Fordwick when he begins to court her. She does marry the Reverend and the two eventually move away from the mountain after season 5. She appears in 15 episodes from Season 1 to 5..
Mariclare Costello has 53 film and TV credits to her name. 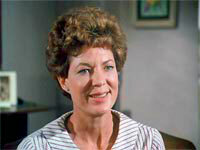 After leaving The Waltons she starred for one season as Maggie Fitzpatrick in The Fitzpatricks. The doomed series also starred Helen Hunt as the next door neighbor's daughter. Rev. Matthew Fordwick made quite the impression when he first arrived as the new minister on Walton's Mountain in "The Sinner" (s1-ep7) but he quickly became a trusted member of the community and eventually married the local school teacher Rosemary Hunter. He appears in 19 episodes from Season 1 to 5. John Ritter (1948-2003) made a name for himself after The Waltons as Jack Tripper on Three's Company and 8 Simple Rules plus numerous films. 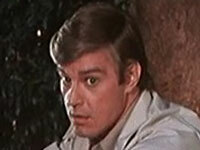 Dr. Matthew Vance appeared 11 times on The Waltons. Among other appearances he helped Olivia with her Polio in "The Easter Story" (s1-ep24), John-Boy with his head injury at the lumber mill in "The Thanksgiving Story" (s2-ep10), Olivia when she becomes pregnant in "The Cradle" (s2-ep19) and Jim-Bob when he breaks his arm in "The Last Straw" (s8-ep19). 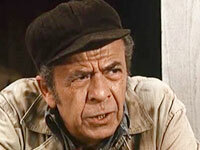 Victor Izay has 70 credits to his name and has appeared in many westerns including 12 appearances on Gunsmoke. 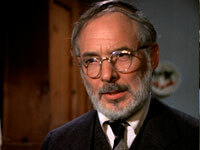 Dr. McIvers first appeared in "The Thanksgiving Story" (s2-ep10) and he appeared in 5 episodes over the next 2 seasons. Rance Howard has over 253 screen credits to his name and is the patriarch of the Howard acting family including actor/director Ron Howard and Clint Howard. He is the grandfather of Bryce Dallas Howard. Rance appeared together with his son Ron in "The Gift" (s2-ep18). Mrs. Claybourne, Amelia & Stuart Lee Claybourne appeared in "The Theft" (s2-ep4) while John Walton did some maintenance work around their home. They were a well to do family who had lost their wealth due the Depression but were keeping up appearances until the bitter truth was revealed. The Claybourne's were performed by Diana Webster, Janit Baldwin and Dennis Dugan. Bobby Bigelow first appeared on the Walton's in "The Book" (s3-ep10) when Jason Walton joined his band as a member of the Haystack Gang. He also appeared in "The Song" (s3-ep22) and "The Breakdown" (s4-ep6) as well as lending his voice on a Jukebox in "The Fledgling" (s4-ep23). 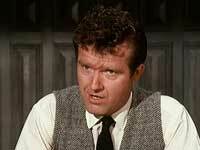 Professor Parks is a teacher of John-Boy's at Boatwright University. He helps to buy the printing press that John-Boy want to publish his newspaper "The Blue Ridge Chronicle". Paul Jenkins (1939–2013) has 55 screen credits to his name. 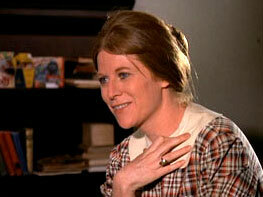 Mrs. Mary Breckenridge appeared 4 times as a nearby neighbour on The Waltons. In "The Ring" (s3-ep6) Mary-Ellen finds/keeps and loses a precious ring Mrs. Breckenridge has unknowingly misplaced in an old purse that she has sold to the Vern Rutley the junkman. Later Mrs. Breckenridge helps Jason with piano lessons in "The Choice" (s3-ep20). Adrienne Marden (1909-1978) has 111 film and TV credits to her name. Professor Thaxton is Jason's music teacher at the Klineberg Music Conservatory. He appears in 3 episodes during Seasons 4 and 5. Mr. Clarence Johnson is John-Boy's boss when he works as a writer for the Associated Press. 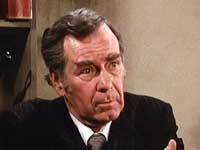 Walter Brooke (1914–1986) has 212 screen credits to his name. Lewis Charles (1920–1979) has 152 screen credits to his name and performed on Broadway from 1939-1947. Mr. Jarvis owns a used car dealership that advertises in John-Boy's newspaper "The Blue Ridge Chronicle". Ben has the job of selling advertising and when he meets Mr. Jarvis daughter he makes his best impressionand ends up getting a job selling cars and Darlene as his girlfriend. Lew Brown appears in 3 episodes as Mr. Jarvis, "The Ferris Wheel" (s5-ep14), "The Go-Getter" (s5-ep23), "The Recluse" (s6-ep3). He also appears as other characters in "The Deed" (s1-ep20) and "The Attack" (s7-ep18). Darlene Jarvis is Mr Jarvis' daughter and Ben Walton's girlfriend. She appears in 3 episodes "The Ferris Wheel" (s5-ep14), "The Go-Getter" (s5-ep23) and "The Seashore" (s6-ep5). The role of Darlene was shared by Deborah Richter and Melody Thomas Scott. 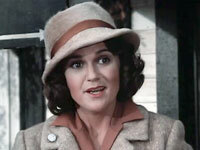 Nurse Nora Taylor appeared in 3 episodes of the show and was instrumental in helping Mary-Ellen choose her profession as a nurse. The role of Nurse Nora was performed by 3 different actresses. Barbara Eda-Young, Kaiulani Lee and Nancy Priddy. Dr. David Spencer appears 7 times on the show. He begins an intern at the Rockfish Hospital. Mary Ellen quickly becomes engaged and they plan to get married but she cancels their plans at the last minute when a new doctor arrives in town and turns her world upside down. Eventually he does become a doctor and serves the community and continues a friendship with Mary Ellen while her husband Curt Willard is away during the war. Robert Merritt Woods appeared in 5 episodes beginning with "The Vigil" (s5-ep2) and ending with "The Attack" (s7-ep18). 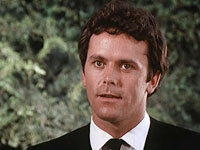 Christopher Woods briefly takes on the role in "The Anniversary" (s6-ep17) and "The Obsession" (s7-ep4). Rev. 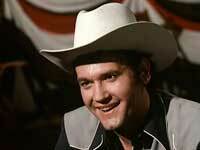 Hank Buchanan appeared in 8 episodes after Rev. Fordwich left the mountain starting with "The Hawk" (s6-ep1). Peter Fox has been active in the various theater companies in California. Ruby Davis is Ben's girlfriend that Jim-Bob dates in "Spring Fever" (s6-ep15). 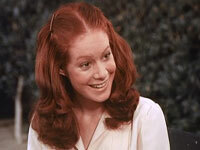 Heather Totten appeared in only 8 TV roles before her last appearance in Eight is Enough byt the age of 20. Rev. Bradshaw arrives in "TheBurden" (s7-ep16) to replace Rev. Andrew March. 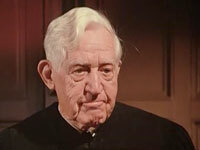 Nolan Leary (1889–1987) lived to that age of 98 and has 259 screen acting credits. Jefferson Davis (J.D.) Pickett runs a metal products factory that Erin Walton works for making items for the military during the war. He makes 11 appearances on the show starting with "The Illusion" (s7-ep8). 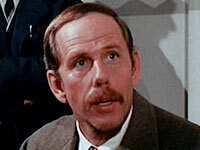 Lewis Arquette (1935–2001) has 128 film and TV credits to his name. He is the father of the viable Arquette acting family including Rosanna, Patricia and David Arquette. 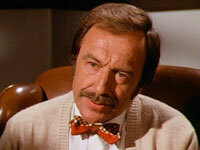 Deputy Sheriff Walt Hendrix appeared in 2 episodes in season 9 "The Hot Rod" and "The Victims"
John Carter appeared in Falcon Crest, Earl Hamner's other Prime Time drama. 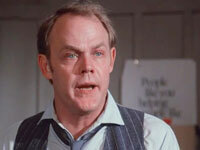 He also appeared in "The Venture" (s3-ep24) as Walt Cutlett and "The Cloudburst" (s5-ep8) as Mr. Bill Shelby. Hazel Lamphere is a new modern style teacher with a zest for life that Elizabeth takes a shining to. 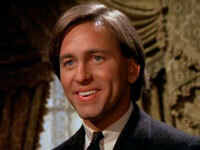 "The Idol" (s8-ep15) Unfortunately though Hazel has a brain tumor and she dies a few months after taking the job. 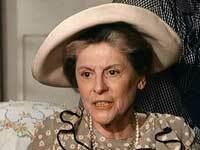 Susan Krebs has 87 screen credits to her name. Rev. Tom Marshall became the new minister in Season 9 in "The Beginning" (s9-ep13) He was greatly concerned about the state that the church is in and he beckons the whole community in the middle of the night with the church bell to admonish them and seek their help to restore things back to normal. He appears in 2 more episodes of the final season as well as the first 2 specials. 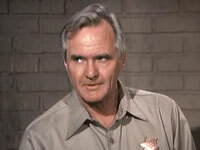 Deputy Ernie Allen appears in "The Victims" (s9-ep15). Michael McDonough is Mary (Erin Walton) McDonough's brother. 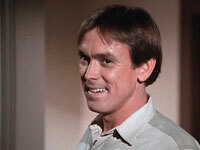 He previously appeared in "The Fledgling" (s4-ep23) and "The First Edition" (s5-ep1).